A day spent in the garden doing a major tidy up so we can plant some veggies. It was good to free the flowers from the weeds and let them display their glory. 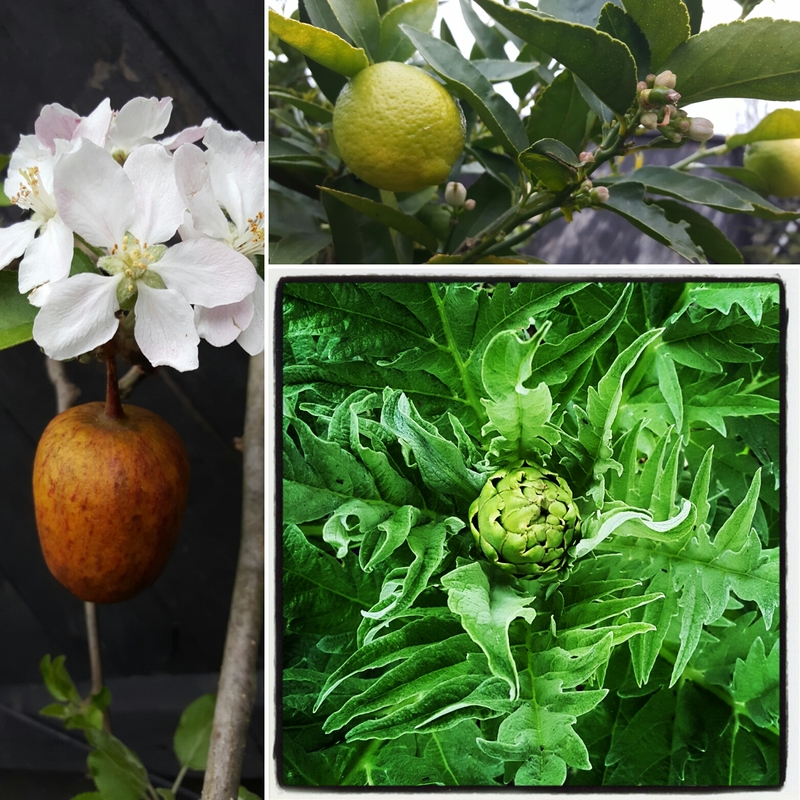 Fruit trees are blossoming and we have a wee globe artichoke! We also belatedly celebrated Aonghas’ birthday at our favourite Italian restaurant. I am not allowed to post photos publicly of Aonghas so today’s photo is one from the garden!